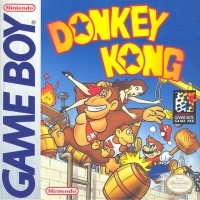 Description: Super Game Boy Enhanced. 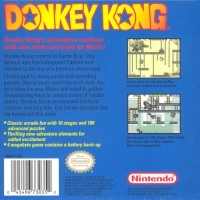 Donkey Kong's adventures continue with new tricks and traps for Mario! 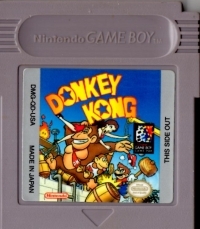 Donkey Kong returns to Game Boy! This famous ape has kidnapped Pauline and climbed to the top of a perilous skyscraper. Challenged by man perils and unending puzzles, Mario must reach his arch rival. As he makes his way Mario will need to gather disappearing keys to unlock doors of hidden rooms. Donkey Kong devises evil tricks to confuse and trap him. Our heroic plumber has his hands full this time! 07-20-2012 stagecoachkid Description Super Game Boy Enhanced.